There’s no question that the topic of drug use is an important concern to most parents of school-age children. But the way drugs look and feel to children in different age groups is entirely different. Whether you’re the parent of an elementary, junior or high school student, here is a helpful guide on how drugs influence our children’s lives, what drugs look like to them and age-appropriate conversation starters that will help your child open up about alcohol, tobacco and illicit drug use. For many parents, addressing the issue of drugs with their elementary school age child may seem too early. However, according to the National Institute of Drug Abuse, one of the keys to preventing childhood drug use is addressing the topic during a child’s elementary school years. Research shows that the earlier a child starts to use alcohol and/or other drugs, the greater his or her chances are of becoming a substance abuser. Studies also show that that programs aimed at keeping kids off drugs are most effective when started in this age group. That said, the U.S. Department of Education suggests that for children in grades kindergarten through third, prevention efforts should discuss good health practices; differences between foods, poisons, medicines and drugs; and rules regarding drug use. For children in grades fourth through sixth, prevention efforts should teach how to identify different drugs; the effects of drugs; what addiction is; why some substances are dangerous; and peer, media, family and community influences on substance abuse. For elementary school age children, the primary concern parents should focus on is behaviors. Watch out for such things as your children crushing candies that resemble pills, like Smarties and Skittles, sniffing school items such as permanent markers and correction fluid, or inhaling household products like antibacterial lotion and dryer sheets. These types of actions may indicate behaviors your children are being exposed to either from other kids at school or what they see in the media. Do you know what drugs are? Do you know that drugs can look like candy? Do you know what smoking can do to you? Have you ever seen kids sniffing markers or hand sanitizers? Do you know that can hurt your brain? Do you know it is OK to have a bad day? Teach your kids that many drugs, such as Ecstasy and meth, can look like candy. Talk to them about drug-related messages they get through TV, movies and music. Give them the power to escape from situations that make them feel bad. Keep discussions about alcohol, tobacco and other drugs factual and focused on the present. Sign them up for programs that emphasize the positive impact of a healthy lifestyle. Your child’s transition from elementary school to junior high is a critical time, especially when it comes to drug use. The likelihood that kids will try drugs increases dramatically in the first year of junior high, where, for the first time, they’ll be exposed to older kids who have experimented with or are regular users of drugs. Your child may think these kids are cool and be tempted to try drugs to fit in. One of the most widely used drugs that kids begin experimenting with in junior high is inhalants, ordinary household products that are inhaled or sniffed to get high. A recent study showed that 20 percent of sixth graders had tried inhalants, while another study showed the percentage of students that agreed that sniffing or “huffing” things to get high can kill you decreased significantly. Inhaling such items can cause serious brain damage, as well as damage to the heart, kidney, brain, liver, bone marrow and other organs. Junior high is also prime time for kids to begin experimenting with tobacco and alcohol. Although, in recent years, substance abuse experts have been reporting children as young as the fourth grade having their first drink. According to Joseph Califano, founder of the National Center on Addiction and Substance Abuse at Columbia University, children’s attitudes towards alcohol shifts dramatically. Where once they thought drinking alcohol was wrong, the presence of older children can be very influential. And as prescription drug use begins to rise at alarming rates, this pattern can hold true for such drugs as OxyContin, Ritalin and Adderall, among others. If someone offered you to smoke, what would you say? When I was a kid, kids were experimenting with drugs. Have you heard of any kids trying drugs? Have you heard of “pharming” parties or raves? Have you heard of salvia? Do you know when a doctor prescribes you medicine it is based on “your” height, weight and medical history? Do you how fatal it can be to take a medication without your doctor’s advice? Stay involved in your child’s life by volunteering at school and knowing your child’s friends and parents. Keep up to date on teen trends. Don’t panic if you discover your child has been experimenting with drugs. Get educated and seek professional help if necessary. Check in often with your child on their daily struggles (friends, schoolwork, peer pressure). Validate their pressures and their world. Monitor their backpacks, room, use of technology. Make it easy for your child to leave a situation where alcohol and drugs may be used, such as curfews and check-in calls. By the time your child reaches high school, the “don’t do drugs” message is one they’ve been listening to for years. Not only can they make the distinction between the different types of drugs and their effects, they can also tell the difference between a casual user and an addict. They’ve seen many of their friends and fellow students use drugs, some without negative or fatal consequences, others whose drug use is completely out of control, hovering on the brink of devastating addiction or, sadly, resulting in death. Most high school students have been faced with making a choice about drugs, at least once in their educational career. In fact, a 2009 study by the National Center for Education Statistics found that 22 percent of public high school students were offered, sold or given drugs at school. 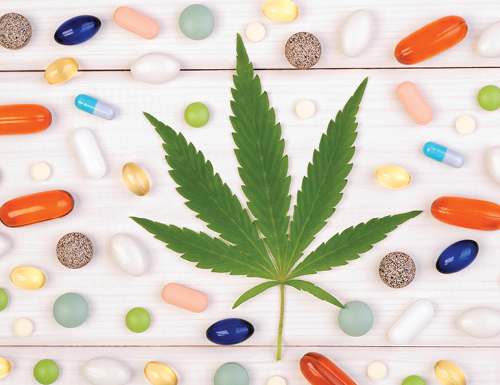 And while most parents may think that alcohol and marijuana are the drugs they need to worry about, in actuality, it’s prescription drugs that have grown in “popularity” among high school and college students in recent years. In 2009, the Center of Disease Control found that 20.2 percent of high school students said they had taken a drug such as Ritalin, Xanax or OxyContin without a doctor’s prescription. 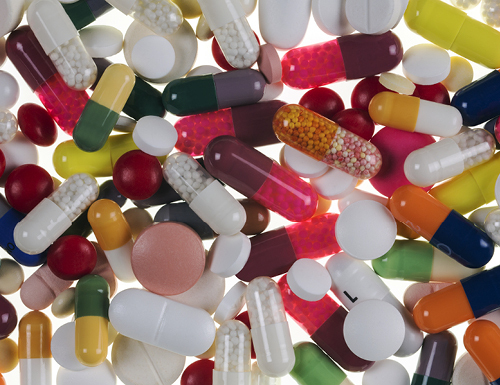 The ease at which teens can get prescription drugs is one of the reasons for the increase. Kids are getting them from friends who are legitimately prescribed the drug, or from online pharmacies that don’t require a prescription to order the drugs. Do you know GHB can be put in your water and you wouldn’t even taste it? Do you ever leave your drink? Do you know that it can only take one pint of alcohol to get alcohol poisoning? How do you feel about parents serving their kids alcohol? Do you know that they can go to jail for it? If you were caught with possession of a controlled substance, what do you think the consequences would be? How would it affect your future? Use detailed and reality-driven messages when talking to your teen about drugs. Emphasize what drug use can do to their future. Stay alert to possible mental health issues like anxiety disorders. Maintain a supportive relationship by keeping the lines of communication open.